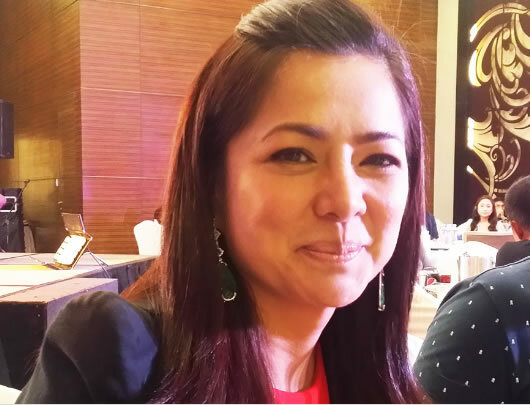 MANILA, Philippines - Alice Dixson is in love again – with a 45-year-old European businessman she’s been with this past four years (yes, she’s that good in keeping her private life well, private). The 47-year-old actress wants to cement the bond between her and the guy who doggedly pursued her, by starting a family with him. You read it right. Alice wants to be a first-time mom. Alice’s “juniorette” project has kept her away from limelight for a good part of 2016. “I’ve been doing workups with my OB (obstetrician). Because of my age, I’ve been seeing a specialist and discussing the topic of hormones,” she told a handful of media men before the press conference of GMA News TV’s "Happy Life," where she donated Christmas gifts for orphans. Alice, who is divorced from former husband Ronnie Miranda, admits she’s trying to conceive the natural way. But she and her boyfriend have yet to see the results. The actress knows she may or may n“The oldest person I know who gave birth is Janet Jackson. She became a mom at 48,” Alice says. So she’s still latching on that dream -- for now. And what if her dream won’t come true? Then, she and her boyfriend are willing to adopt. The decision goes well with Alice’s plan to slow down in showbiz three years from now, when she turns 50. “I think there won’t be much challenging roles for me by then,” she shrugs. Meanwhile, she’s back in the limelight, starting with "Happy Life" (Sundays, 9:30 a.m.), a lifestyle show that takes viewers around the country and into the lives of people in need. Alice was offered to host the show, but she chose to help off-cam instead. The show, directed by Eric Quizon for White Lion Productions Inc. is about traveling with a cause. The hosts – beauty queen-models Bea Santiago, MJ Lastimosa, Jamie Herrell, Giulia Zahar, Sophie Rankin and Anthea Murfet -- tour the country and spearhead projects for needy people they meet along the way. One of them is Lola Gabina, a 76-year-old farmer whose only wish is for her little grandchild to get well. “We want to help people who work hard,” its producer, businessman and former Ilocos Sur governor Chavit Singson says. “He’s generous and genuine,” she notes. No wonder Alice chose to help out, and make others happy. It’s her way of spreading the good vibes she’s overflowing with. “Yes, I have a happy life,” she smiles before bidding goodbye to everyone and heading for a home filled with all the good things love can give.ot succeed. This is why she set a time frame – one year – to get pregnant.